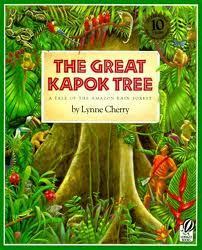 Marcey’s class (and the whole of 4th grade) recently did an inquiry unit on the Rainforest. To celebrate the unit and all they learned, the students hosted a Rainforest Conference. They split into different groups and presented to other students and teachers about a topic of their choosing. Endangered animals and mining were among the topics, and the kids put a lot of effort into their tech-based presentations. But along with presentations comes the dreaded task of public speaking. Marcey and I decided that a guided meditation about the rainforest might help calm the kids down before the conference, and get their mind focused and ready to talk about what they learned. The script is in a separate post below. I haven’t checked in with them yet on if/how the meditation helped with nerves. But I do know that when they came in to the room, they were a bundle of nerves, and when they left they seemed more relaxed. Hopefully that feeling stayed with them! One thing that worked really well was the room we used. We almost always do yoga and meditation in Marcey’s room, which requires us to move desks and the kids are laying down everywhere. For this meditation, we used a more open music room space which allowed the kids to be more in a group and less scattered during meditation. I’m also working on getting mats for the kids to help them maintain their space a bit more, as well as some weighted items that they can place on their legs or stomachs to help keep them grounded.